Family owned and operated in Port Angeles we serve the entire Olympic Peninsula and Seattle area. Lazy J Farm is family owned and operated and we take stewardship of the land seriously. With over 50 years of rich experience growing a wide range of high quality fruits, vegetables and Christmas trees, Lazy J Farm has become a well-respected leader in Clallam County. We take pride in preserving the environment while serving the community needs. 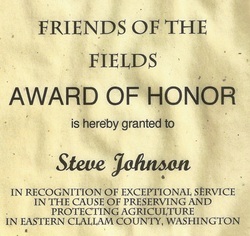 Steve Johnson, second generation farmer, loves and nurtures his land with consciousness and care. His family and employees exhibit these same traits, when you are on his farm you can feel their dedication to be good stewards of the land. PRODUCE ~ We grow and sell a variety of heritage Apples such as Jonagolds, Melrose, and Kings, and Potatoes such as Ozettes, Austrian Crescents, and German Butterballs. Garlic, Rhubarb and Apple Cider are also available. U-pick blueberries should be ready in 2017. Yummy! We also have several varieties of clumping Bamboo for landscaping. 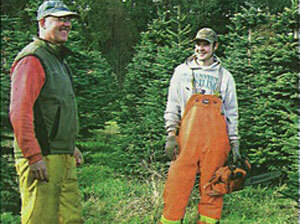 CHRISTMAS TREES & WREATHS ~ We cultivate and sell U-cut Christmas trees and hand-make fresh Holiday Wreaths. Lazy J Tree Farm offers several different types of Christmas trees so you are sure to have family fun finding your special tree. 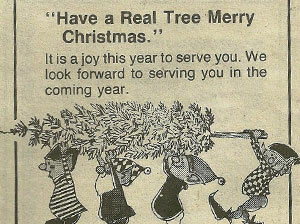 We take great pride in caring for our trees year-round so they are perfect when your family hunts for one! Don’t forget a wonderful wreath for your door or as a gift. Make it a Family Tradition! COMPOST & MULCH ~ Lazy J is noted for its natural compost made from grinding local yard waste that is turned and composted for 8-10 months. It is then screened to ½ inch for a fine product ready to plant your garden in. 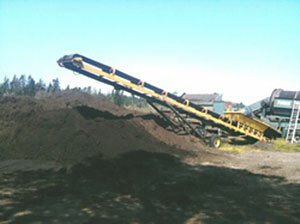 No bio-solids or sand are ever added, just natural compost ready to use. We also have several kinds of mulch and top soil too. We have a crew from 8 am to 4 pm M-F to load your truck or trailer with compost, top soil and mulch. To make arrangements for us to deliver or for service on the weekends please call 360-457-5950. Don't send your yard waste to a land fill! We accept yard waste during daylight hours 7 days a week; it is self-service with a pay station for you to drop off the money. No Scale, we charge by volume. We work on the HONOR SYSTEM to keep costs down. Thanks for being fair! 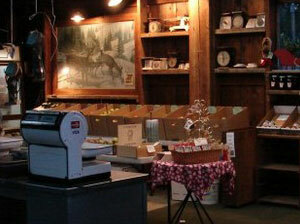 Our Farm Store is seasonal, please call us for current hours and offerings.